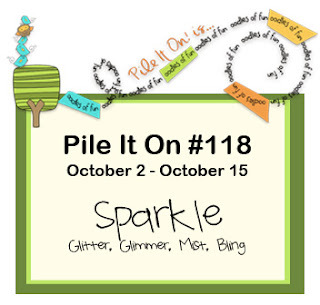 This is my post as a designer for Pile It On Challenge Blog. Sparkle. Whatever your favorite way to add a bit of sparkle to your project, pile on some challenges & let it shine! We're sponsored by Doodle Pantry and one lucky participant (chosen from challenges #117 & #118) will receive 3 digi stamps of their choice! 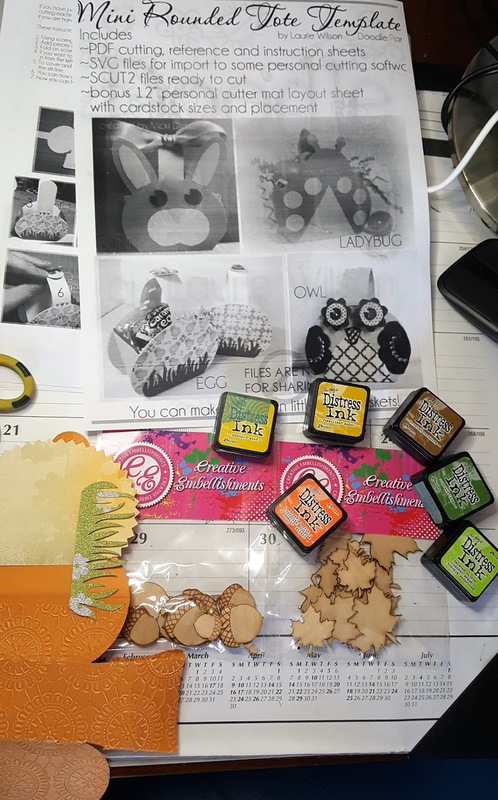 The Top Picks for this challenge and the Prize Winner will be announced on October 23. 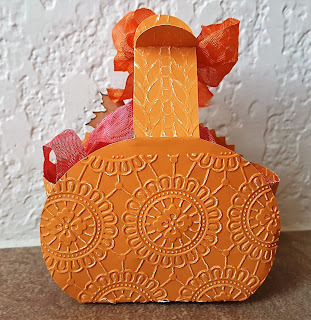 I dry embossed the treat box with Anna Griffing's and from another company for the wheat on the handles. 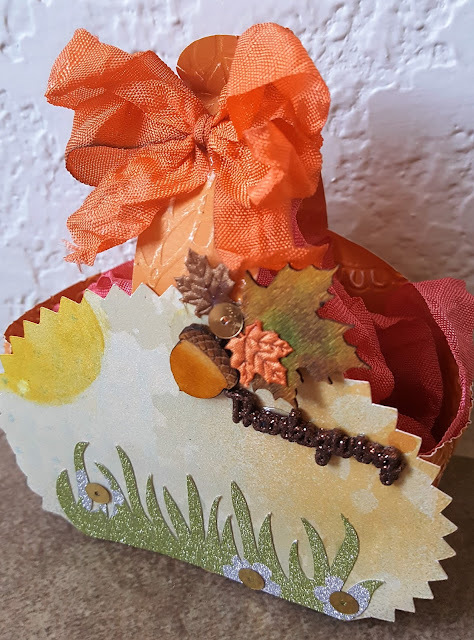 I added fall ribbon leaves, a shippie (Creative Embellishments) for the fall leave and one for the acorn, which I distressed with TH distressing inks, as shown on a previous picture. 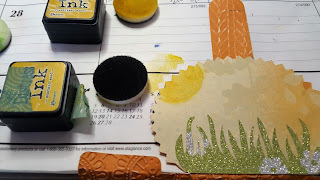 And for accenting this glitter paper printed flower some gold sequins. 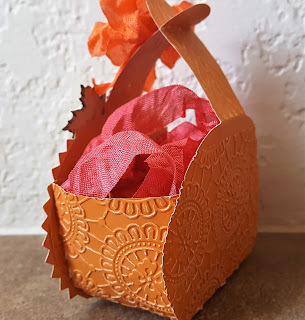 To finish, I added a bow from 3 Girls Jam ribbon. I hope you enjoy and decide to pile it on our challenge. What a wonderful treat bag Vicki, but what cut did you use from the Cricut library? If you could add that information I would appreciate it! Thanks for joining us at FCCB! 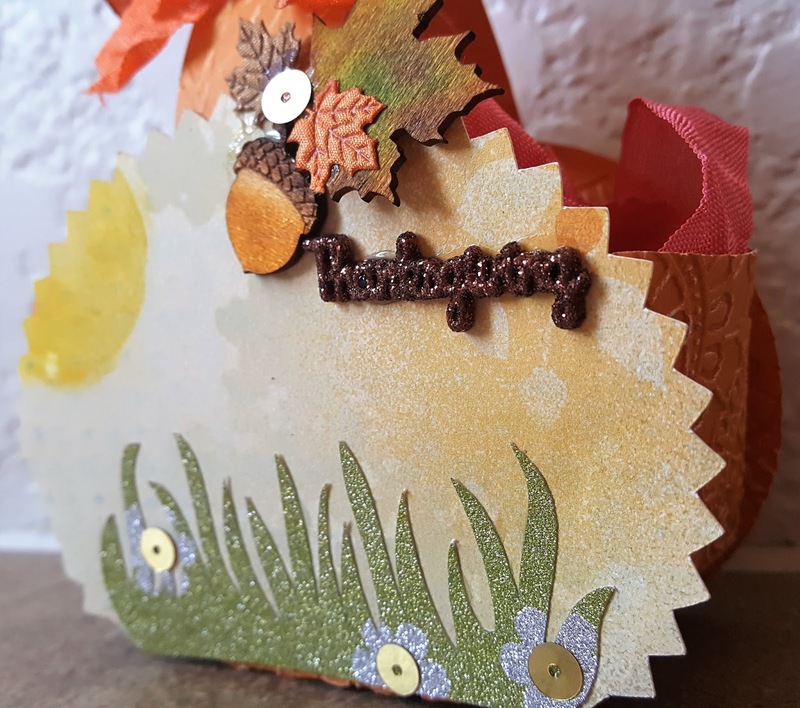 Fab goody bag Veronica, lovely autumnal styled embellishments and colours. 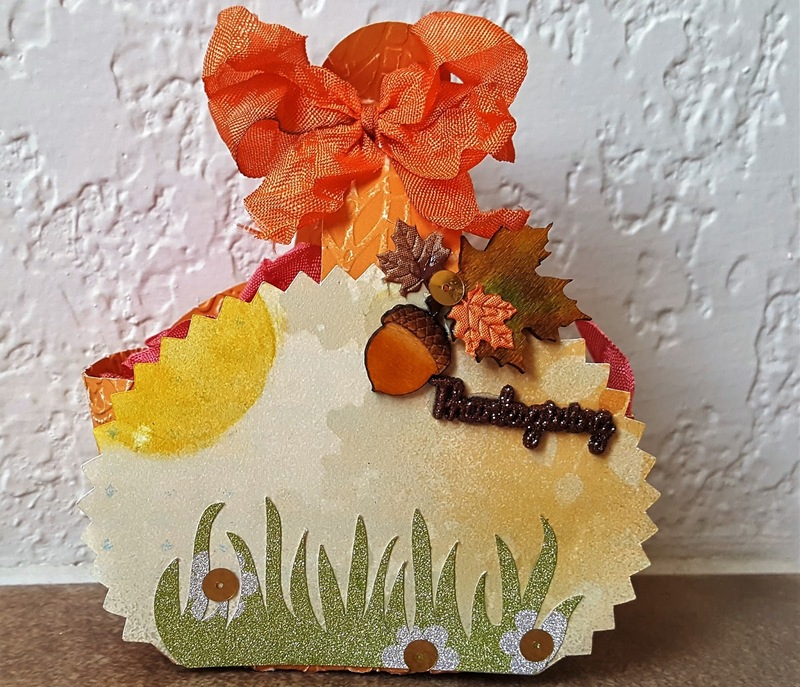 Thank you for playing along with the Crafty Boots Autumn Challenge. It is a svg file from Doodle pantry. Lovely, lovely lovely and a double entry for our challenge - doing something other than a card. Thank you for sharing your talent at FCCB! 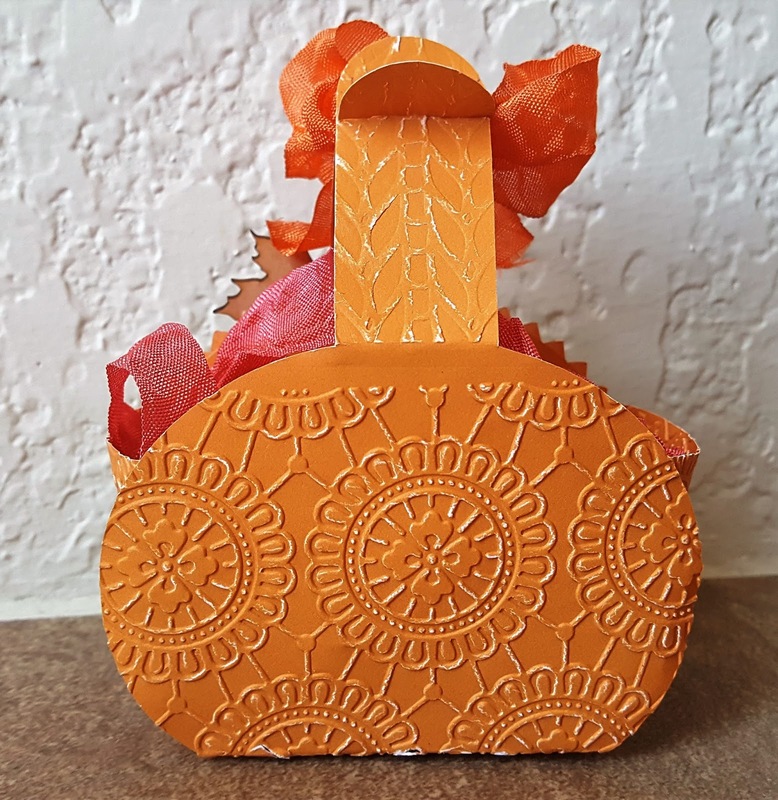 What a great little goodie tote, Vicky! Love the big bow. 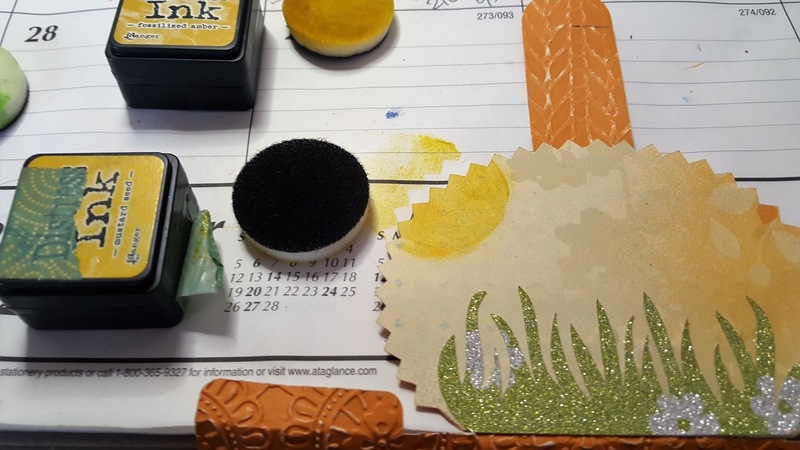 I'm so glad to see you playing along in our "Cut It Up" challenge at QKR Stampede this week. Hope to see you again next week, too. Super make. I love the shape. Thank you for sharing with us at QKR Stampede.